Quilt, Knit, Run, Sew: Here's Your Pants Back! Last week while making wallets to go to Nova Scotia, I made a special one for my friend Willa. Willa's Wallet with still more wool fabric. 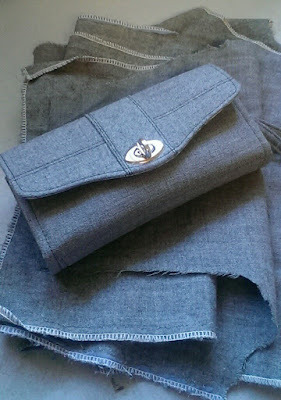 See, last winter, I was looking for wool pants to recycle into wallets. I didn't find too much while scouring the thrift stores. But in the spring, my friend Willa brought me a pair of her husband's pants that he no longer wears. 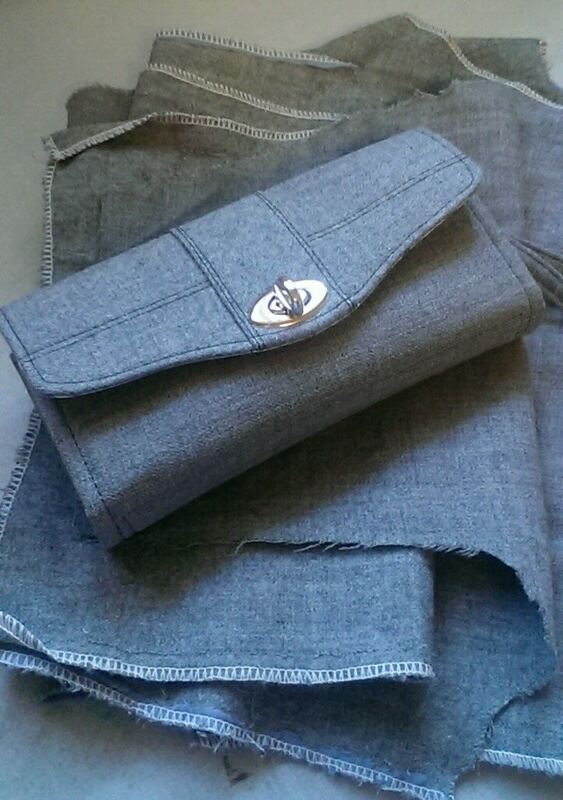 They are a beautiful 100% wool in light grey. He was a travelling businessman, and these pants were custom made for him in China a few decades ago. Well, she wasn't out the door and I had the pants de-constructed and the rescued fabric in the sink soaking in a mild detergent. (you know, just in case she changed her mind and wanted the pants back, I'd better act quick :)). 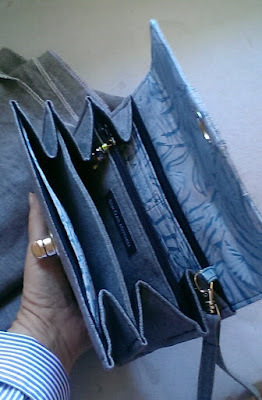 In my recent wallet making spree, I cut a couple of wallets kits out of the wool fabric pieces. I decided to make one for Willa. She hasn't seen it yet but she and her husband are coming for supper tonight. I will give it to her, and say "here's your husbands pants back!" If you know Willa and her hubby, you know they will get a big kick out of it. Great job, Willa is going to be pleased with hers. May I ask what pattern you are using. Hey, I am removing my pants as I write this...what's your address? haha These wallets are incredible! WOW! Your friend is going to be over the moon! There will be a great story for Willa to tell with her amazing "joie de vive" and sense of humour! Love the wallet! Mine is actually wearing out...gulp.